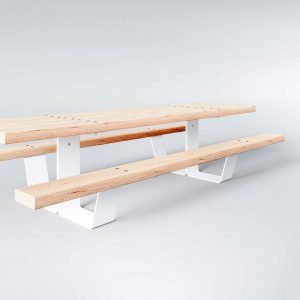 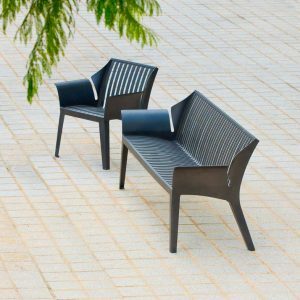 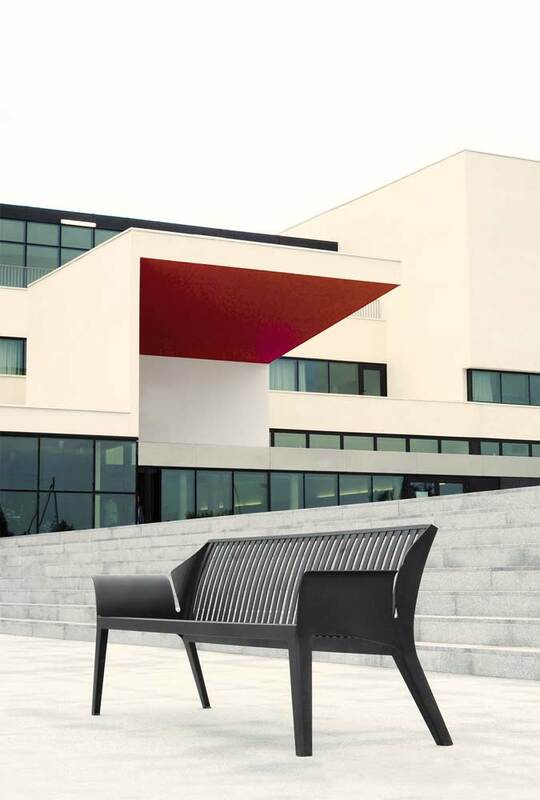 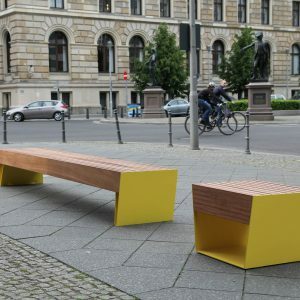 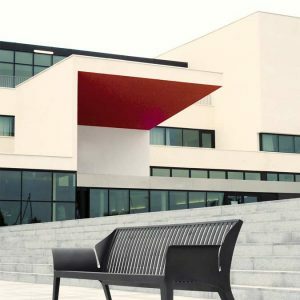 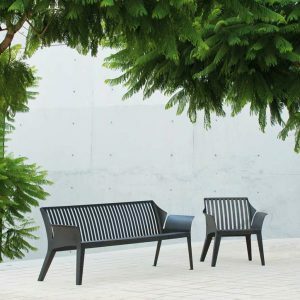 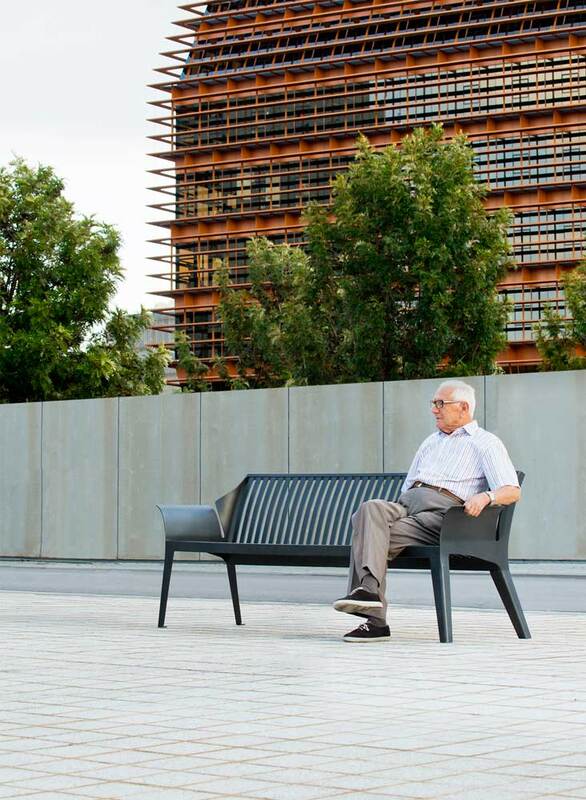 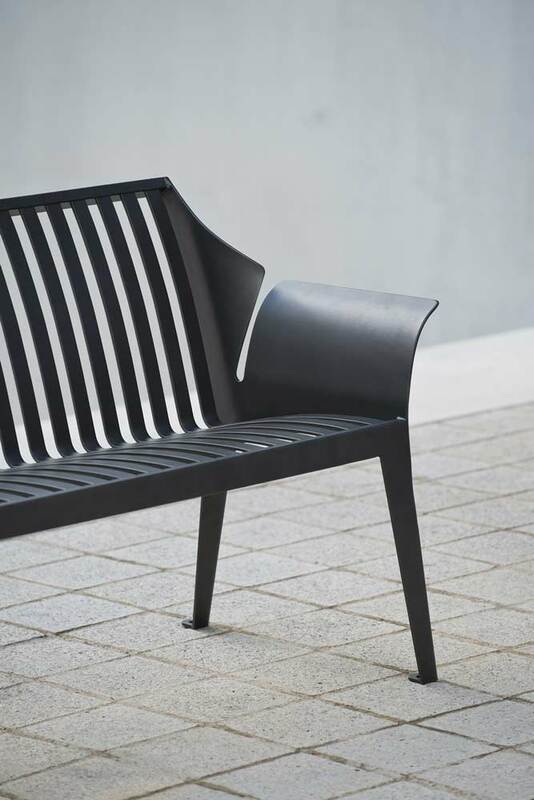 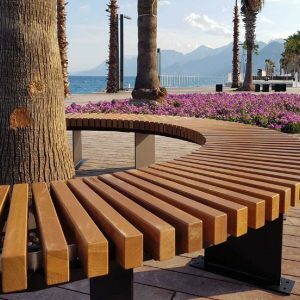 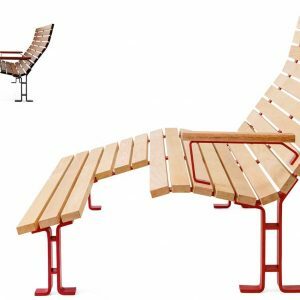 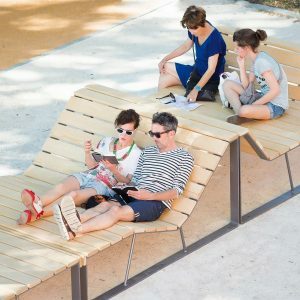 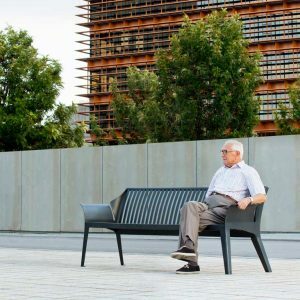 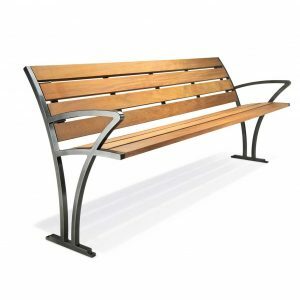 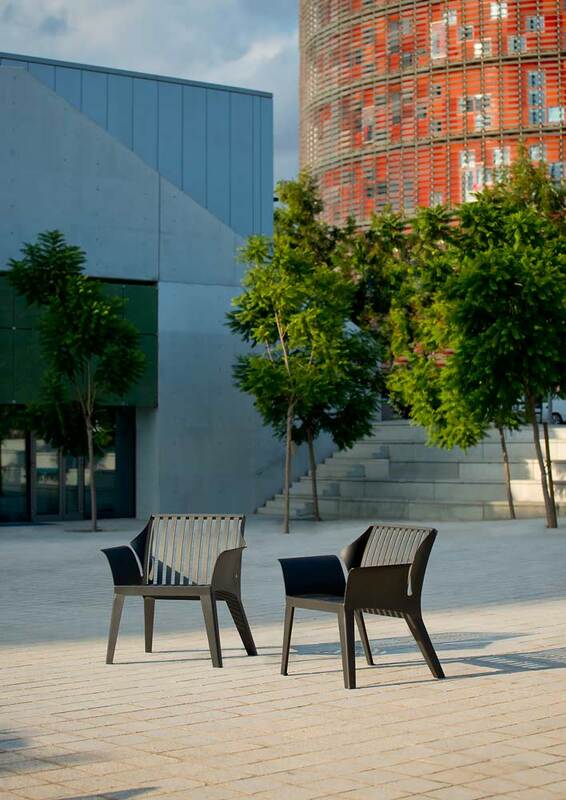 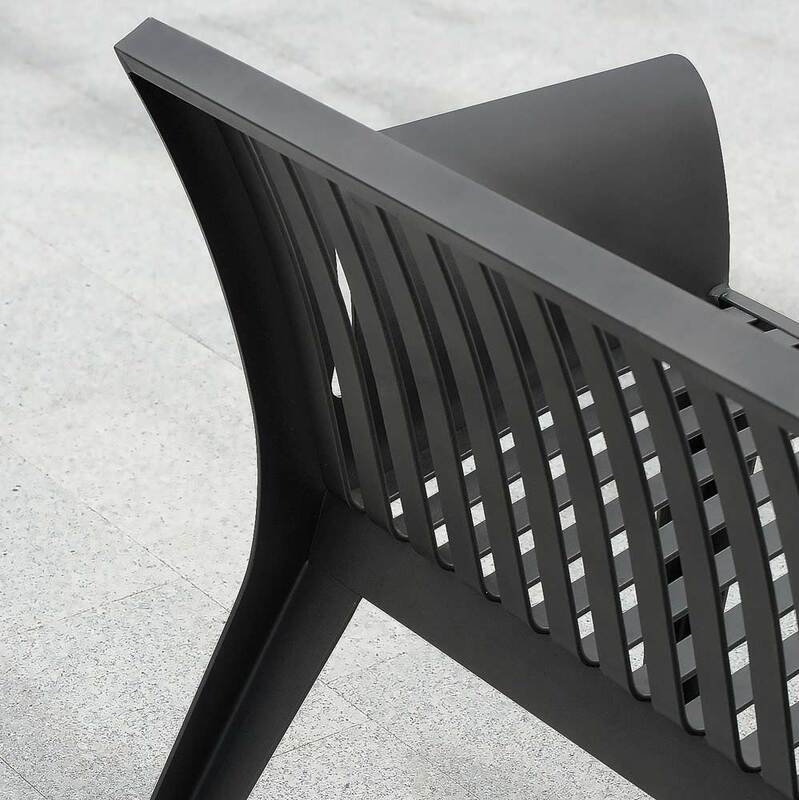 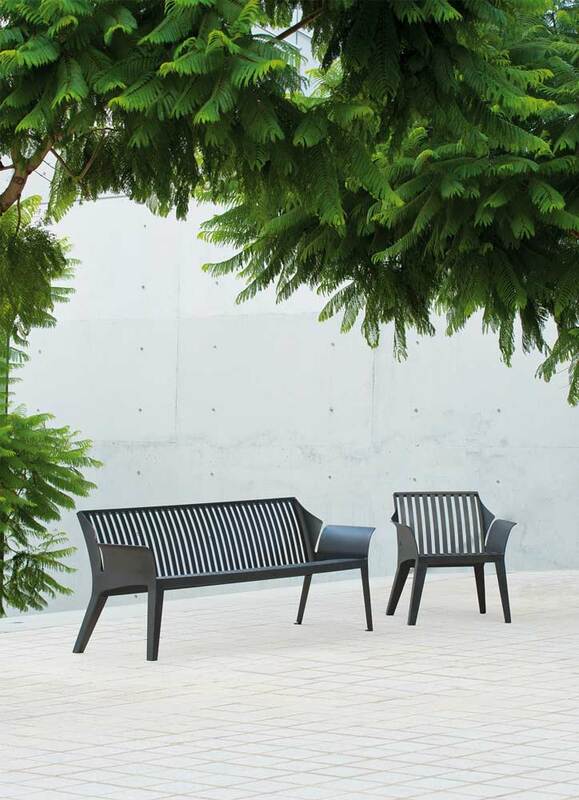 The VANCOUVER bench’s ergonomic steel strips ensure optimum comfort for layback moments. 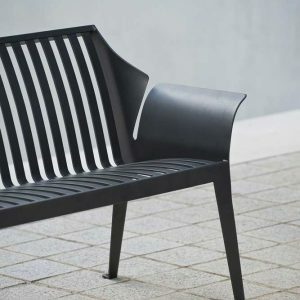 The full, splayed steel armrests really do give an aspect of an outside settee. 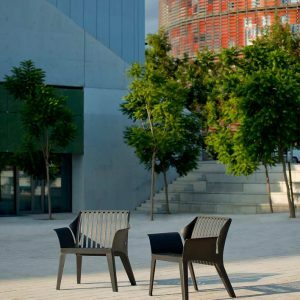 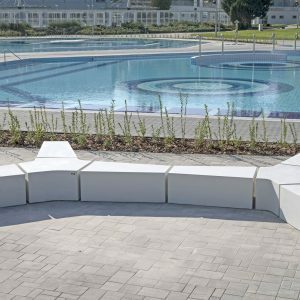 To create real outdoor lounge areas, the range comes in bridge and backless bench forms. 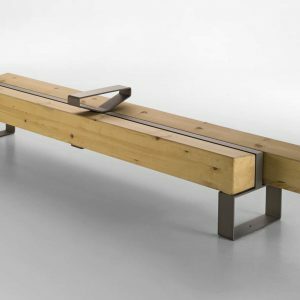 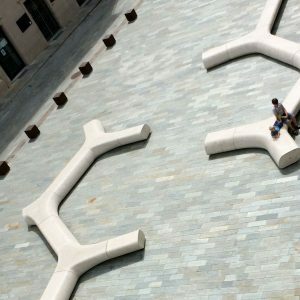 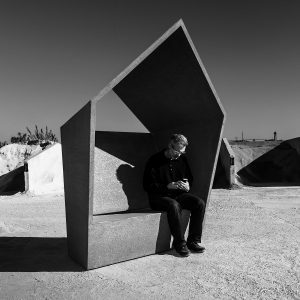 Taking up the aesthetic lines of the VANCOUVER bench with back & arms, the VANCOUVER bridge illustrates global AREA expertise. 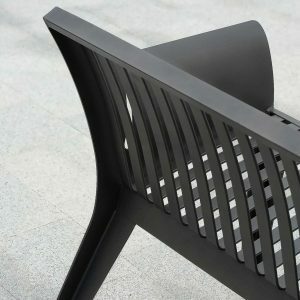 Modern production techniques enable the steel to be shaped into innovative forms. 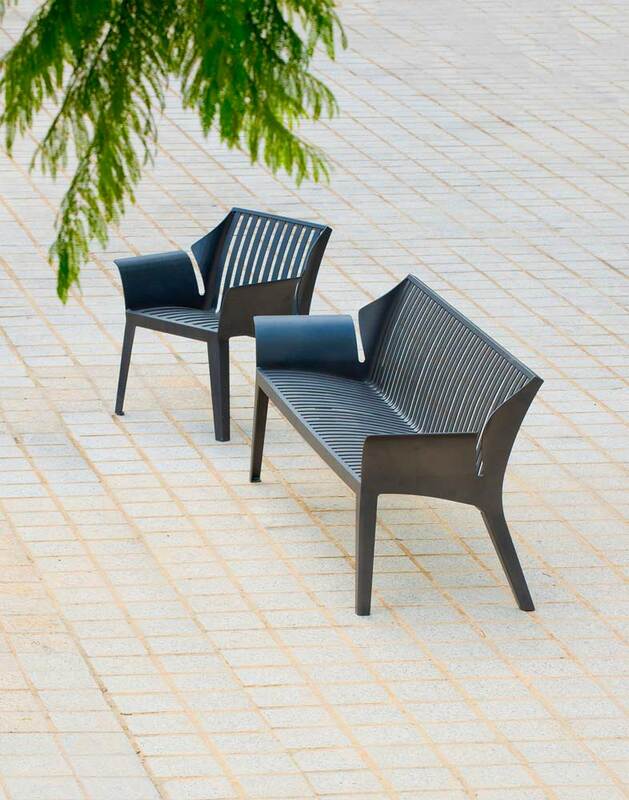 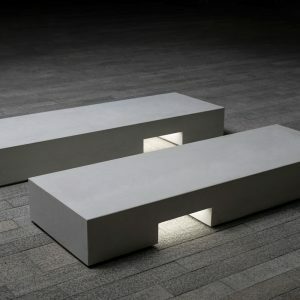 The armrests highlight the maintenance free seat in metal.